If you could take steps to help your roof last longer, wouldn’t you? 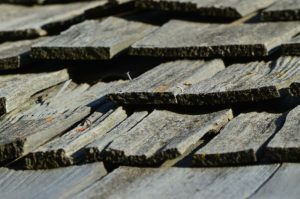 Of course you would and there are steps that the homeowner can take to make sure their roof lasts as long as possible. Did you know that clogged gutters can negatively impact the life expectancy of your roof? It’s true! If the water doesn’t drain from the gutters and downspouts it could lead to a build-up of water and then eventually mold can creep up under the shingles. If you keep your gutters clean and the water running freely you can extend the life of your roof. Not all roof damage is visible. Your shingles may look good, at a cursory glance, but if you go into your attic and notice water stains or even wet spots on the floor, this means the shingles are eroding and nearing the end of their effective life. Does your home have skylights or roof or ridge vents? These areas can typically fail before the shingles will and may need to be re-caulked or have tar or new shingles installed. This type of inspection is one that should be performed by an experienced roofing contractor. Can you save money with your choice of roof materials? Yes! There are Energy Star rated shingles and in some states a homeowner will be eligible for a tax credit if these type of shingles are installed. When you’re in the market for a roofing contractor, contact City Roofing Orlando for an inspection and quote.